American history is something of a mixed bag. Like all great stories, there are ups and downs. Forming a representative democracy upon the idea of individual freedom is a particularly good moment in the arching trajectory of American history. The fact that representation and freedoms were designated only for property-owning white men, well, that is a moment of which we are not so proud. The purpose of Race, Ethnicity, Diversity and Inclusion initiatives is to create an awareness and maybe correct some of the historical injustices that America has endured. At several periods of history, people were seen as fractions, property, and objects. Thankfully there are few objections today to treating people like people, at least in theory. As a collective group, we have strived hard to put people back where they belong: first. However, I think there is still room for growth. As we strive to overcome centuries of prejudiced history—making a point to recognize as people those who have been, and continue to be, marginalized—it becomes important to focus on stigmatizing practices that have become so engrained into our culture, we cease noticing their bite. People-First language is the idea that, sometimes, our methods of discussing people groups can sometimes serve to further marginalize folks. I wrote my undergraduate thesis on the stigma attached to the label “homeless”. At the time I worked for an agency that put me in daily relationship to many individuals experiencing homelessness, and I noticed something: we regularly put the label in front of the person. “Homeless people” sneaks into our vernacular, and, without noticing it, we are applying a stigmatizing label to a very real person. It is not uncommon to hear things like poor people, disabled people, uneducated people, etc., but consider how that label might negatively impact those targeted populations. If you were experiencing homelessness, for whatever reason, how would it make you feel to be reminded regularly that you are “homeless”. 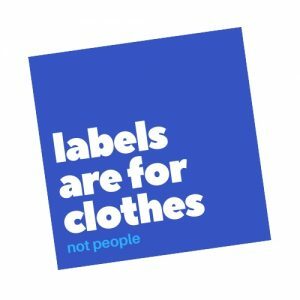 The label becomes an identity. We sometimes don’t even include the word “people”, and opt instead for identifiers like disabled, poor, homeless, etc. As a challenge, lets strive to put people first, not only in our practices, but also in our language. People experiencing homelessness. People experiencing poverty or low income. People experiencing marginalization. When we take the focus off of a situational label, we shift the identity from the adjective and back to the person. In essence, we restore to the individual or group, and to our collective conscious, the ability to take charge of one’s situation and improve it. Isn’t that what the American Dream is all about: the ability to have agency over one’s own circumstances, to fail or succeed at one’s own hand? Consider the context. Something that can seem small but serves to oppress and marginalize is the use of the words “they” or “them” in certain contexts. Referring to a group of people as “them” or “those people” subtly separates and stratifies. It creates a division between the unspoken “us” and “them”. Even when our intentions are pure, these implied separations allude to a more divisive time of our history and draw an indelible line between groups. What is important is not the modifiers we use to describe the people; it is people. Let’s strive to honor the good work that has occurred throughout American history and continue the effort to put people first. By doing so we will not only be more equitable and inclusive, but, perhaps more importantly, we will begin to restore dignity to what matters most: people.